The holiday season is naturally a very expensive time of year. Not only do we have to think about buying gifts for our immediate family members, but we usually end up having to purchase gifts for the various gift swaps at work and amongst friends. If you happen to be the one hosting Christmas dinner or a gathering on Christmas Eve, then you are burdened with even more spending. Not only is the food pricey but you also have to think of all the other holiday essentials like tablecloths, decor, dishes, and entertainment. There is no doubt that this time of year is the most expensive, but how far is too far when it comes to keeping things frugal? When it comes to family gatherings, many hosts opt for the potluck style where each family member is responsible for bringing one item whether it’s an appetizer, dessert, or beverage. By initiating this type of gathering, everyone gets a chance to contribute and it takes a lot of the burden off of the host. One Mumsnet user, recently posted an awkward family situation when it comes to Christmas gatherings. 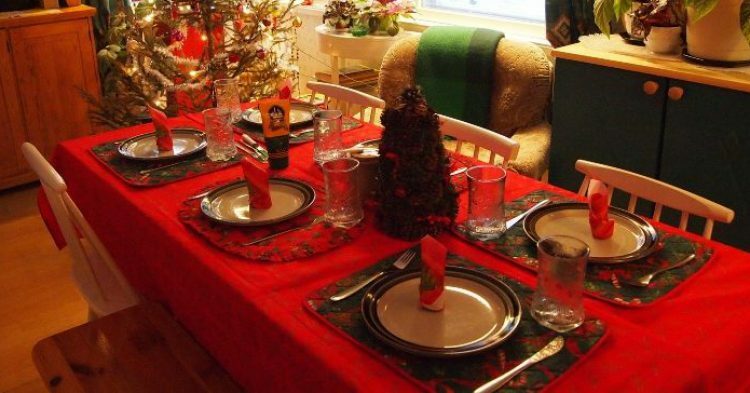 The woman had planned on going to her parent’s house for Christmas lunch, and her boyfriend had planned on going to his parent’s house for Christmas lunch, however; his mom threw a somewhat nervy request at him. She asked that he pay $21 if he planned on attending Christmas lunch. A bit awkward to say the least. Her reasoning behind the payment request was that she wanted to make the entire meal from scratch, and because it would all need to be done ahead of time it would cost more money. The Mumsnet user said that her boyfriend now wants to skip his mom’s meal and go to her family’s house instead. “Getting it pre-done is more money, which I understand but he’s gutted and feels like he wants to come to my family now. I can see it from both sides and it’s hard work and can be expensive but not like she is financially destitute,” she said. The one downside of having to pay ahead of time is that you really have no choice in what you are paying for. What if the mother is making a meal that you don’t even like. It’s not like at a restaurant where you get to choose what you pay for.